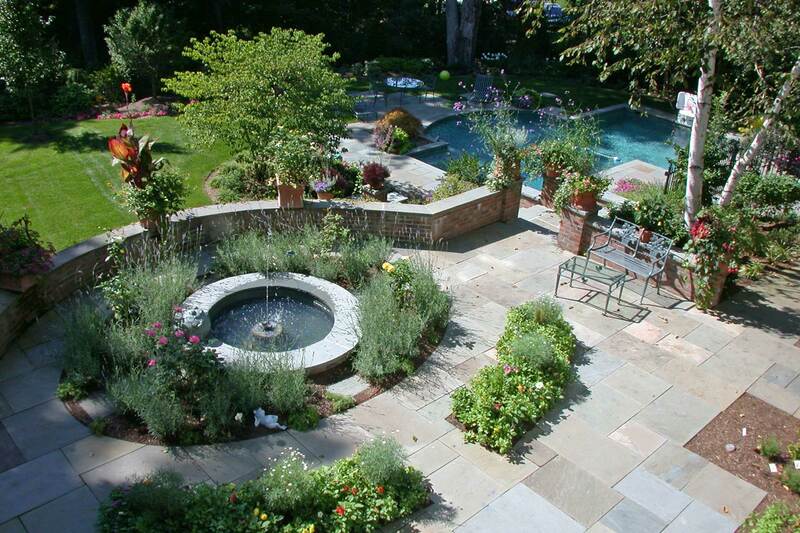 Led by Geoffrey E. Schur, the design team, like the design trends, has evolved over the years, developing the ability to espouse any of the many different garden styles. 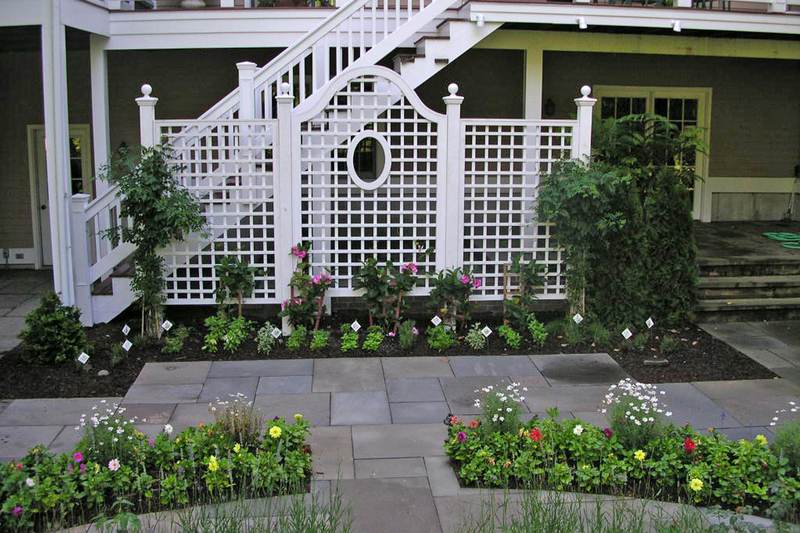 From an early award from the town of Westport to the present, Exteriors continues a tradition of fine design. 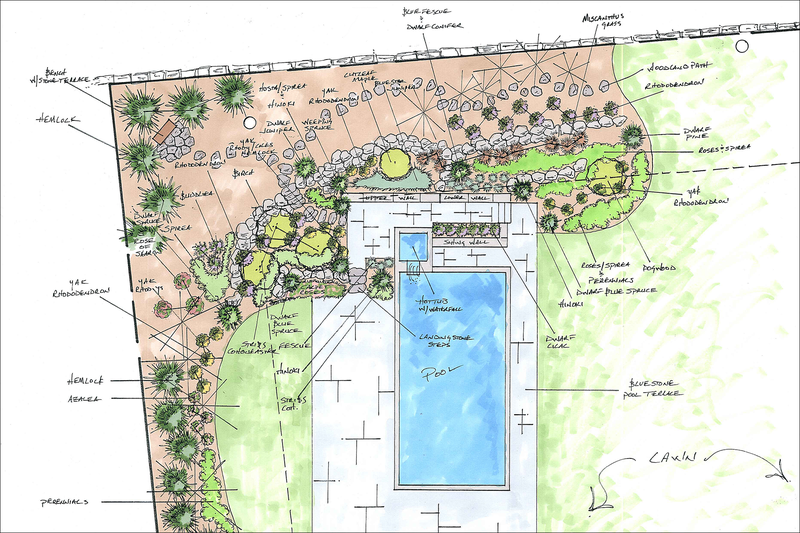 Site plans, usually drawn to a smaller scale, show design concept rather than detail. As its name suggests, this term refers to designing the entire site or property, as opposed to concentrating on a specific area or single item. 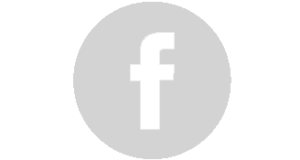 It includes thinking ahead, so as to allow future development of the entire site without re-working larger elements. If a septic system or some sort of easement exists, or if setback lines create a tight envelope, position the retaining wall or driveway to allow for future placement of a swimming pool. With larger scale projects a simple sketch may not suffice, especially with situations that require town approvals. Thorough site analysis, even surveying may be necessary to deal with existing or future situations. In addition designing to scale allows both designer and client to better picture the anticipated results avoiding costly mistakes and “re-do’s”. A scaled plan also results in more accurate measures of length or area, which becomes important when calculating cost estimates that might be based upon length or square footage. 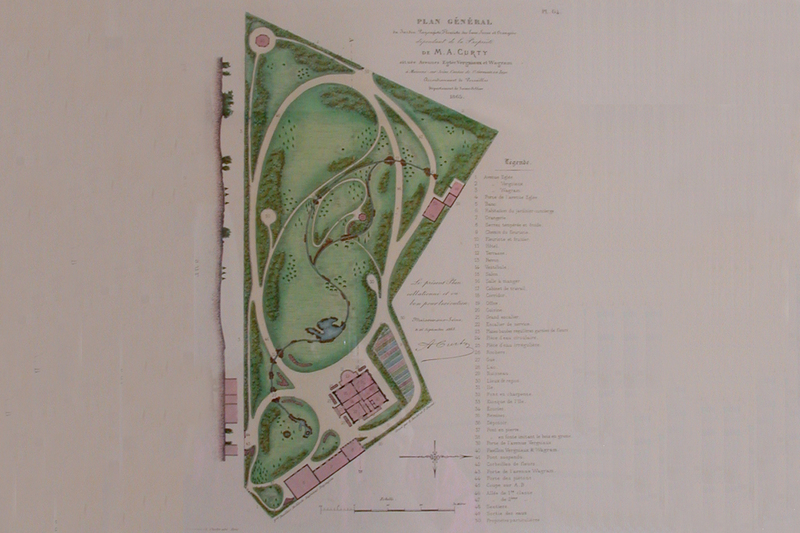 The planting plan shown here is drawn at a one inch equals eight feet scale and also shows some construction detailing. Certain architectural styles call for different landscape styles. Period design refers specifically to historic styles that have existed as design precepts or architectural styles that have evolved. In colonial times. for example when foundations were primarily native stone as opposed to cement there was less of a need for today’s standards for “foundation plantings”. In Victorian times, there were more hedged gardens and tendencies towards strong axial designs. 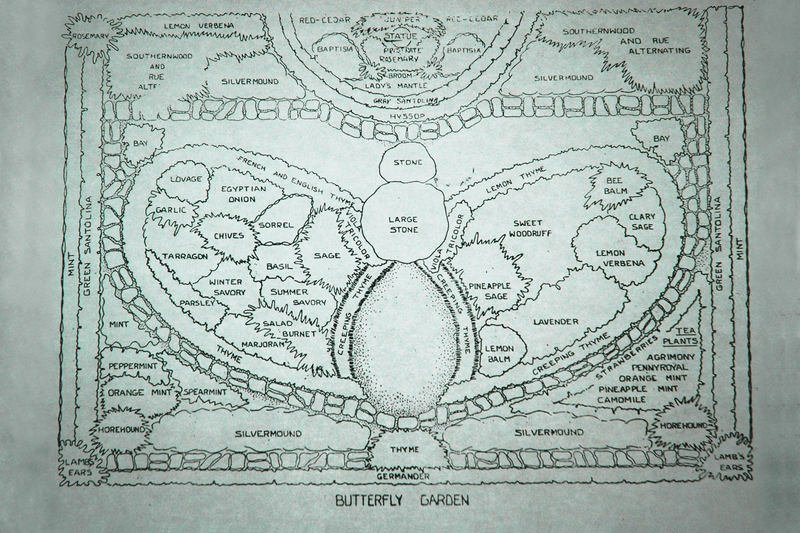 Elements like this designed herb garden (shown here) were popular on English estates. 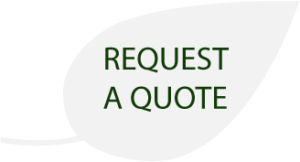 Constrained by a budget on some level, a client’s wishes are often beyond their means and we must balance cost with benefit. However, with a little thought, basic design concepts can often be achieved for less than initially imagined. A hedge is cheaper than a stonewall but can give the same sense of enclosure, or structured backdrop to a planting. 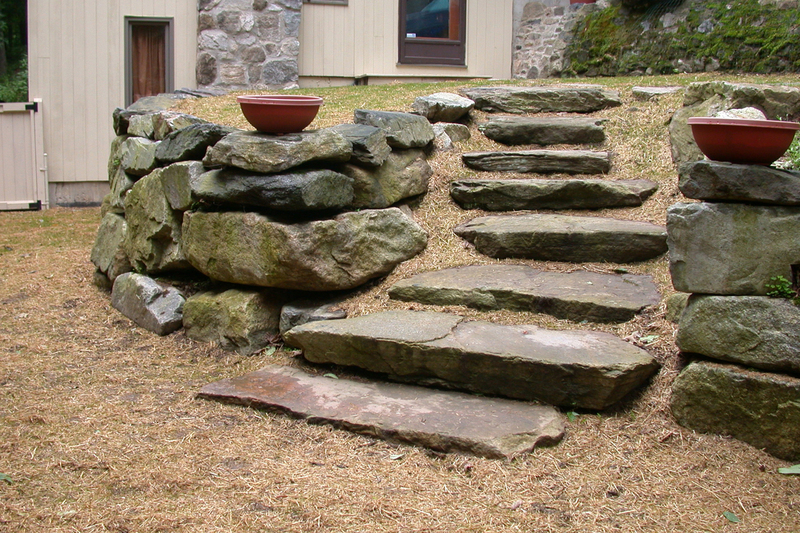 A rock retainer and steps (pictured here) built using boulders, slabs and a machine can cost thousands of dollars less than a formal stone work requiring individual laborers. A well planned out project executed in phases is often affordable, where the same project completed all at once would not be. The importance of garden “structure” should not be understated. A garden without structure may have color and look good from time to time, but only a well-planned and structured garden will look good all year long. 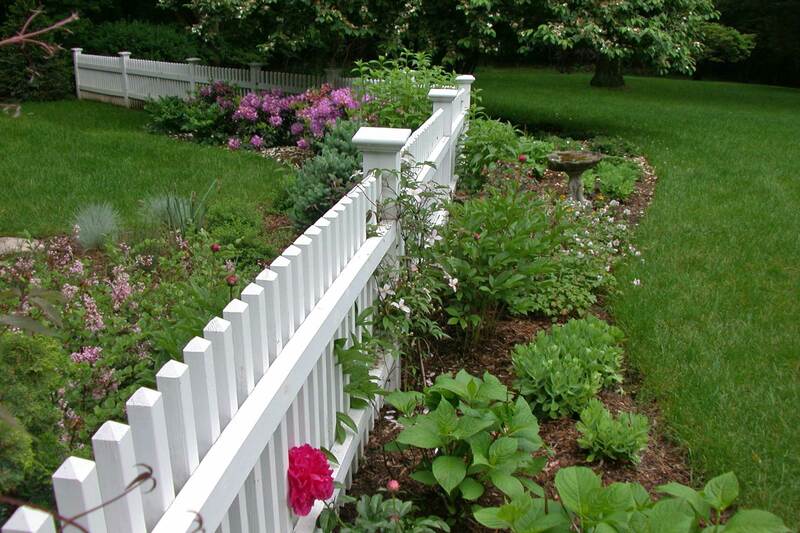 Even the simple lines of a fence can impart structure to a garden. Without the fence the garden shown here would look un-anchored; out of place. During winter months a garden might fall back on accents from interesting bark, conifers spotted within an otherwise dormant perennial garden, twig form or seasonal interest, but only a garden’s “structure” will carry it from season to season. There are often hidden opportunities on a site; A natural vista, a rock outcropping, a copse of trees or an old stone wall, the moss and mica on a rock that catch the sun’s afternoon light. None of these should be overlooked when designing a landscape. In addition working with natural features is usually less costly than reinventing the place. 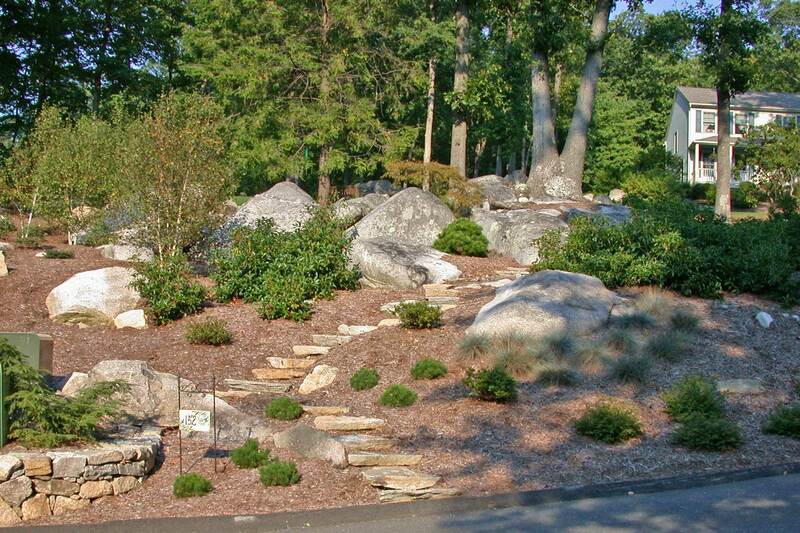 On the site pictured here, existing massive boulders pointed the way towards a naturalized design solution. Your landscape is an extension of your living space and consideration should be given to the amount of time that is required to maintain it. This patio garden can be easily maintained and give enjoyable color throughout the season. Through careful sustainable landscape design, color and a sequence of bloom can be achieved while the duration and frequency of necessary care are kept to a minimum. The longevity of a landscape or of structures should also be considered.